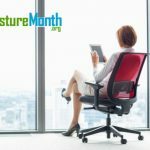 Share these great articles about posture month! Sleep well and you might wake up smarter! Everyone knows sleep is important, but until recently no one knew exactly why. Now research shows that waste products from the brain’s metabolism accumulates in the fluid surrounding nerves during the day, and then gets flushed out and eliminated when you sleep. The fluid is called cerebro-spina fluid (CSF), and the study found poor sleep was associated with a buildup of a substance (b-amyloid) in CSF associated with Alzheimers. Get a good night’s sleep! 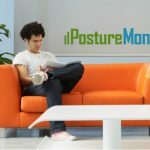 Create a posture smart sleep environment. A supportive mattress makes a difference in how well you sleep. Health professionals generally recommend a firmer sleep surface, but comfort is an individual preference. There’s a lot of new bedding options, like high quality foam and memory foam mattresses that expand on delivery, some with intricately designed layers for pressure point mapping and temperature-control. Be sure whatever type of mattress you use that you have the correct sleep foundation. With newer sleep technology box springs are often replaced with slatted and other mattress foundations. 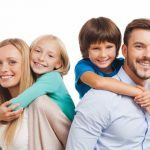 It’s important to choose the correct foundation for your mattress to create the best sleep posture and so that the mattress cools, wears correctly and allows for sufficient air flow. 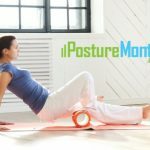 Are there any areas of slight tension or discomfort? 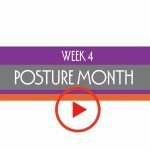 How can you align yourself to reduce that stress? If your mattress sags (doesn’t provide adequate support), is too firm (you notice painful pressure points), sleeps too hot (tossing and turning) it’s likely time to shop for a new mattress. 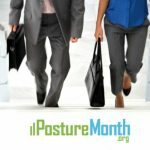 May is Posture Month! 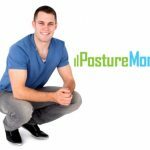 Strong Posture keeps your body looking good and moving well! 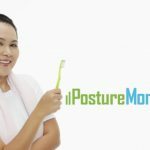 Learn about the impact posture has on health. 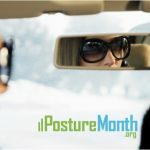 PostureMonth.org content is for informational purposes only and is not intended to be a substitute for professional medical advice, diagnosis, or treatment. Always consult your physician or other qualified health provider regarding a medical condition. Use of this site is conditional upon your acceptance of our User Agreement.